Bordeaux Neurocampus > Nos publis > Neurogenèse adulte hippocampique chez l’homme : mythe ou réalité ? Neurogenèse adulte hippocampique chez l’homme : mythe ou réalité ? Les spécialistes continuent de débattre par publications scientifiques interposées sur la possibilité de fabriquer des neurones à l'âge adulte. Réponse du laboratoire de Nora Abrous. Lucas Benoit, Ummi Ciptasari, Joséphine Gay, Marie Letournel, Lorraine Madur, Morgane Raynaud. In human, one of the hallmarks of many neurodegenerative diseases and brain damage is the permanent loss of neurons. Which raises the question of how could they be repaired when it occurs during adulthood? 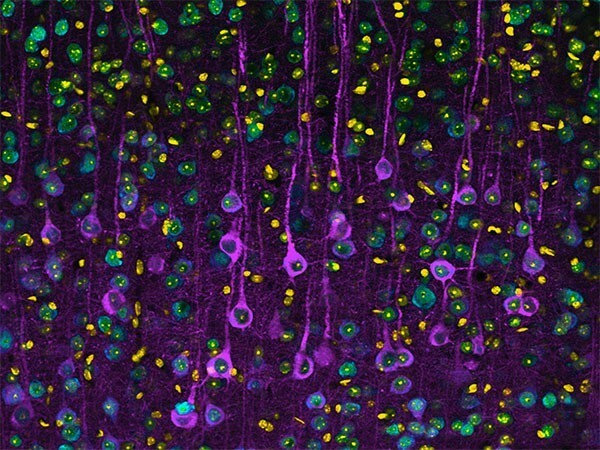 The key to stimulating repair mechanism of damaged brain regions may lie in studying the systems that continue to produce new neurons throughout life, also called neurogenesis. In 1960’s the idea regarding the production of new neurons in the adult brain started with the studies conducted by Joseph Altman and has been accepted only 30 years after by the scientific community. Soon after, accumulating evidences in monkeys (Gould and al., 1999; Kornack and Rakic., 1999; Ngwenya, 2015; Jabes, 2010; Kohler, 2010; Aizawa, 2009; Leuner, B., 2007) and Human (Eriksson and al., 1998; Ernst and al. and Spalding and al.) provoked multiple debates within the scientific community because they contradict Cajal’s work and his concept of “the immutability of the brain”. 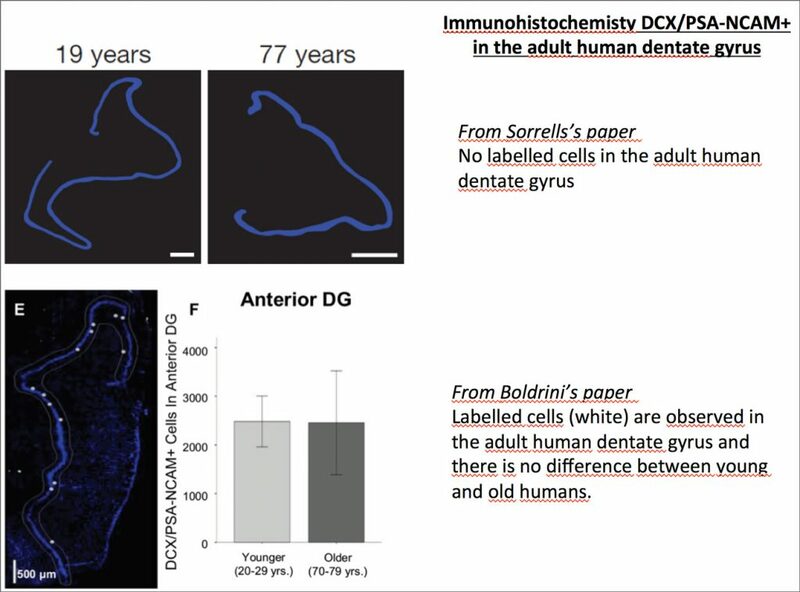 Although some studies have shown through various techniques that neurogenesis seems to occur in the dentate gyrus (DG) of the human brain, the debate is still in full swing.